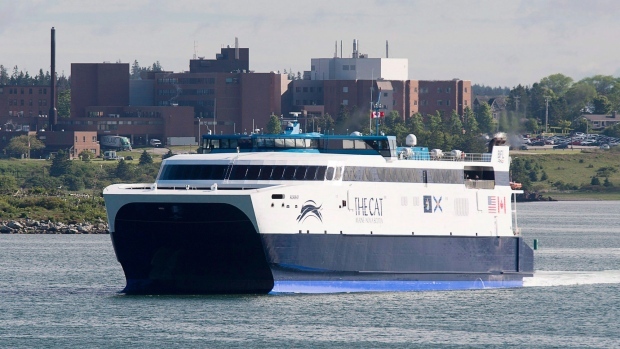 HALIFAX -- The private operator of the Nova Scotia-Maine ferry says its move to a new port in the state is being held up by the U.S. government shutdown and the transition to a new governor. The heavily subsidized ferry is set to move to Bar Harbor from Portland, Maine, after Bay Ferries struck a deal with the town last fall. But Bay Ferries CEO Mark MacDonald said Monday the town is still waiting for Maine's new governor to sign off on the transfer of the terminal property. And he said talks with United States Customs and Border Protection around its services and renovation work at the Bar Harbor terminal are on hold until the federal shutdown concludes. "We understand the circumstances and we're satisfied that everyone will move forward as quickly as they can as soon as they can once the shutdown ends," said MacDonald. "Naturally we are hoping that's sooner rather then later." He said his company has set no deadline for things to come together for the upcoming season. "We're confident we can get this done somehow," he said. 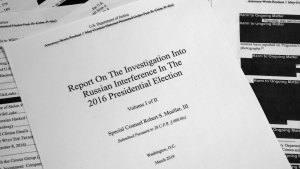 MacDonald wouldn't reveal details of talks that began last month with U.S. border officials, saying they have requested confidentiality around the discussions. However, Nova Scotia Transportation Minister Lloyd Hines said last week the province is considering footing the bill for U.S. border security agents in Maine. Hines defended potentially using provincial taxpayers' money to pay U.S. public servants as part of the cost of doing business. 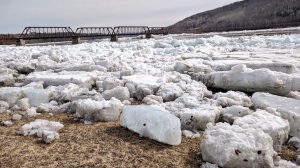 He also said the province hadn't made a final decision on paying for more than US$3 million in upgrades to Bar Harbor's ferry terminal, but added it was reasonable to expect it would incur at least "some of the cost," as it did when the ferry used the port in Portland. As part of the deal with Bar Harbor, Bay Ferries also requires a commitment on the construction of a new U.S. Customs and Border Protection facility. In an email, Transportation Department spokeswoman Marla MacInnis said construction costs for the facility had been estimated at $8-million had the ferry remained in Portland, but will be lower in Bar Harbor. "Although we don't have an estimate on the anticipated expenditure in Bar Harbor, we are expecting it to be less than that," she said. Meanwhile, there has been no word from the province on either the final figure for last season's subsidy, or on the potential cost of the upcoming season. The government has spent $32 million in subsidies since the ferry service resumed in 2015. MacDonald said an agreement will allow "demolition and other work" on the terminal property before the other agreements are in place. He also said he expects the transfer agreement with the state will be concluded by the end of the month. Cornell Knight, Bar Harbor's town manager, said the Maine Department of Transportation is working to bring Governor Janet Mills, who was sworn in on Jan 2, "up to speed" with the terminal deal. "We anticipate having a closing by the 31st (of January), which is what the purchase and sale agreement extension went to," said Knight. Under the town's five-year agreement with Bay Ferries, Knight said it would get a minimum $200,000 a year in revenues based on passengers and the amount of bus traffic carried by the ferry. Bay Ferries has said a number of factors are behind its proposed move, including fuel prices and the shorter trip from Yarmouth to Bar Harbor.